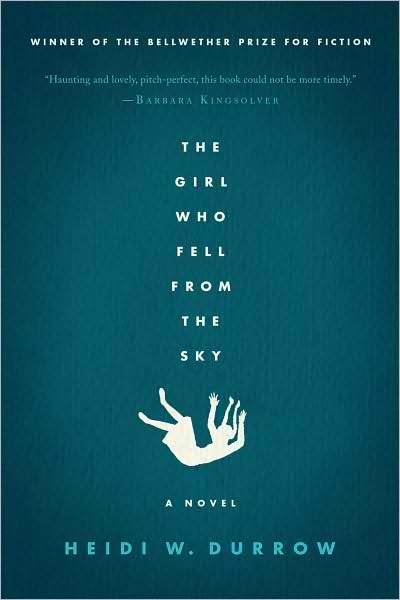 The Girl Who Fell From the Sky is Heidi W Durrow's first novel, and was the winner of the Bellwether Prize for best fiction addressing social justice issues. Heidi W Durrow also writes short stories and essays, which can be found on her website at http://heidiwdurrow.com/other-words/. The Girl Who Fell From the Sky is the mysterious story behind a young girl of mixed heritage named Rachel; her mother being Danish and her father African-American. The mystery surrounding Rachel is the question of why she is still alive, as she "fell" from the top of an apartment building with her mother and siblings on a mattress and was the only survivor. Another major part of the plot concerns how the biracial Rachel comes to terms with her identity in a world that wants to see her as either black or white; not as a mixture of both races. Throughout the reading of The Girl Who Fell From the Sky , we learn about the types of people capable of not only being open and accepting of a concept that should be the norm in a modern society, but also the types of people capable of giving and receiving genuine love. It's been nearly a month since I read The Girl Who Fell From the Sky and I'm still unsure about my feelings for the novel. From a one-dimensional viewpoint, I don't understand -- or better yet, I cannot relate to why the identity crisis is so impacting to Rachel and the story overall. I feel that the racial subject matter as a whole has just been beaten to the ground in recent years and shoved down my throat. Maybe I truly am modern (or maybe it's just because I'm white!) and this is why I don't understand the racial struggles, which I can openly admit. However, re-evaluating the novel from Rachel's point of view, I can appreciate this novel and understand how and why it speaks out against social injustice. Although I am not a product of two completely different races, I can only imagine how difficult it can be growing up and dealing with people who have certain reservations on biracial people or just on blacks or whites in general. I really enjoyed trying to figure out what truly happened to Rachel's family on the tragic day of their deaths; the novel will really keep you guessing until the end. I also like how each chapter and section is told from a different point of view by each character. If you read The Girl Who Fell From the Sky , I highly recommend checking out the author's website at http://heidiwdurrow.com/. Durrow is an absolutely gorgeous woman and looks exactly as Rachel is described! After reading her biography and some of her FAQs, I have more insight on the novel and appreciate it even more than I did when I began writing this review several minutes ago. I actually recommend visiting Heidi's website before you read The Girl Who Fell From the Sky , especially if you're not sure how you're going to approach it after reading this review. This novel has been compared to The Bluest Eye (1969) by Toni Morrison and Annie John (1985) by Jamaica Kincaid. Although I have not yet read anything by Jamaica Kincaid, I do recommend all of Toni Morrison's work -- everything written by her is, of course, a masterpiece.